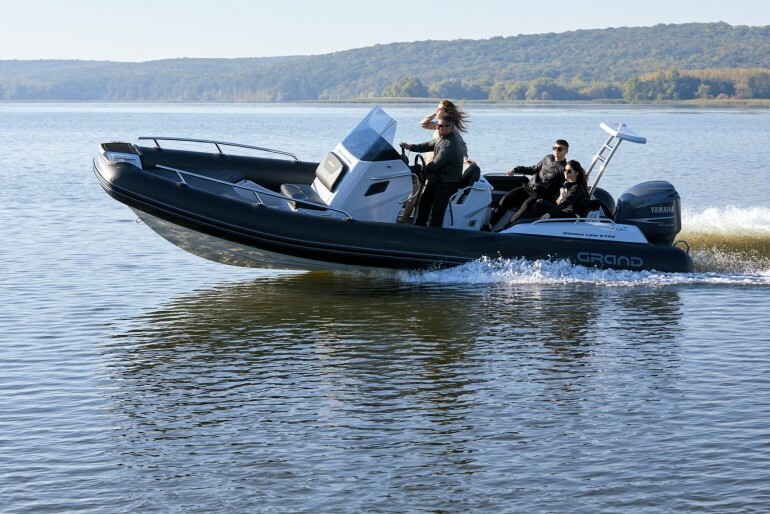 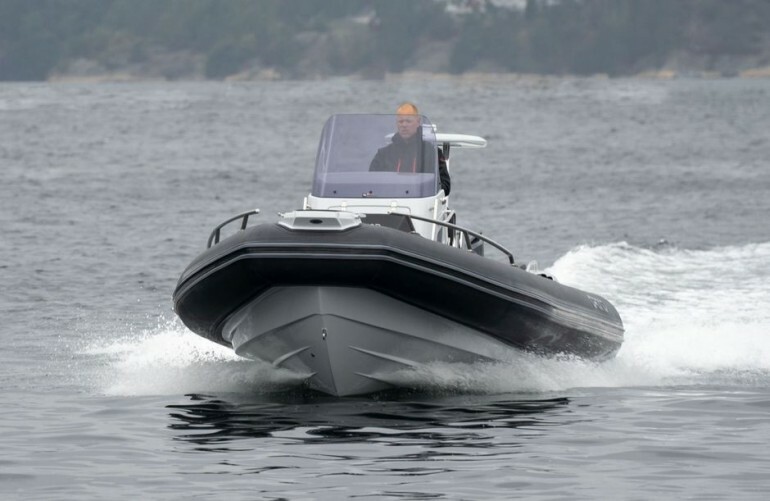 The Golden Line 750 RIB offers plenty of performance with space and luxury while retaining the extraordinary sea keeping qualities inherent in the class. 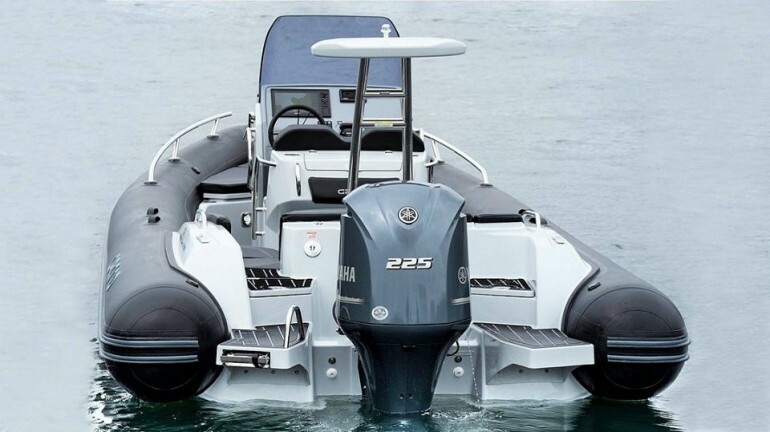 This new 7.5 metre RIB fits neatly between GRAND’s highly successful G650 and G850 cruisers whilst introducing some exciting new design ideas and features. 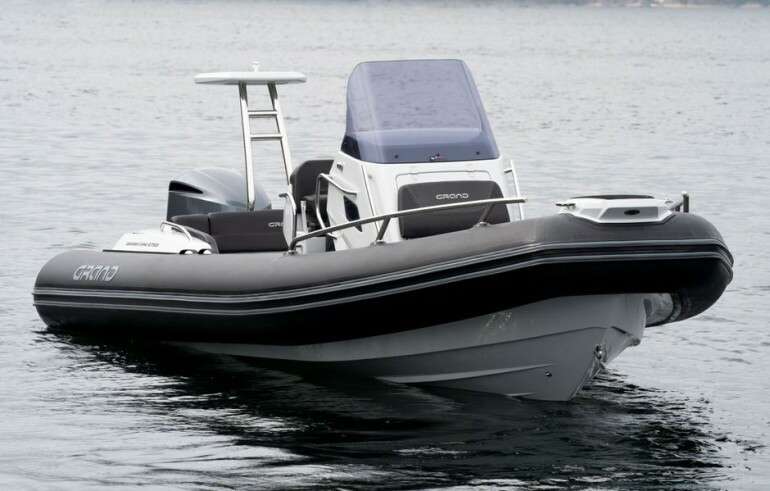 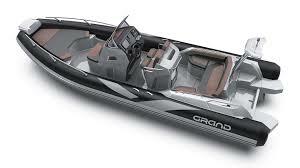 The extensive specification and options list includes features customers expect from their GRAND RIBS including a U-form rear sofa-style seat that now includes a boarding passageway, stainless steel bow rails, a newly designed centrally-positioned steering console with internal space for a marine WC, a new 260 litre built in fuel tank, a spacious and expandable bow sundeck, GRAND’s stylish waterski towing arch, accommodation for up to 10 passengers and much much more! 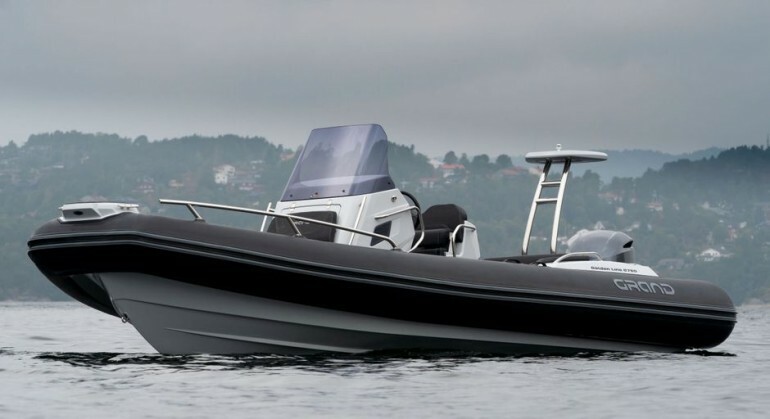 The Golden Line 750’s distinctive contemporary styling and comfort, accompanied by a comprehensive range of options plus outboard motors up to 250hp gives this GRAND model a degree of authority and elegance that may surpass even our most discerning customers expectations.